When we decide to visit a country for the first time, we are most likely to go with “big names” and to opt for bigger and well-known cities. The reason is simple: it is easy to plan, easy to reach and because of the popularity these places are most likely to be on your “must-see” list anyways. In most cases it is also justified! But one day many of the “must-see” attractions will be off your list already and you will simply have a little more time on your hands. This is when you’ll start noticing smaller and less-known destinations on your map. There were times when all far-away places seemed to be the most alluring to me, wherever I was. However, with time I found pleasure in exploring surroundings of an area where I ended up staying. When you stay close to a border in Europe, in a part of the world which is so crowded with countries, this task is easy and the chances of stumbling upon a little pretty town are numerous. 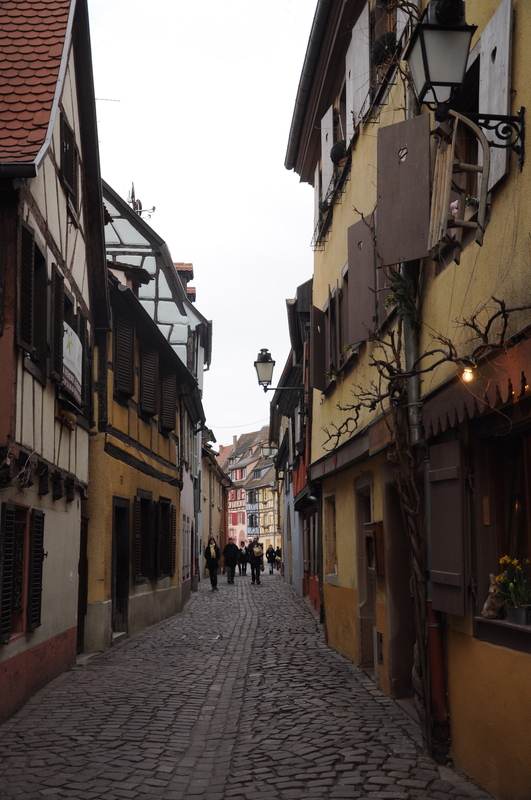 Colmar, a small town in Northeastern France close to the German and Swiss borders, is one of those lesser-known jewels. A part of the Alzac wine route, it is full with German and French tourists on a sunny day. 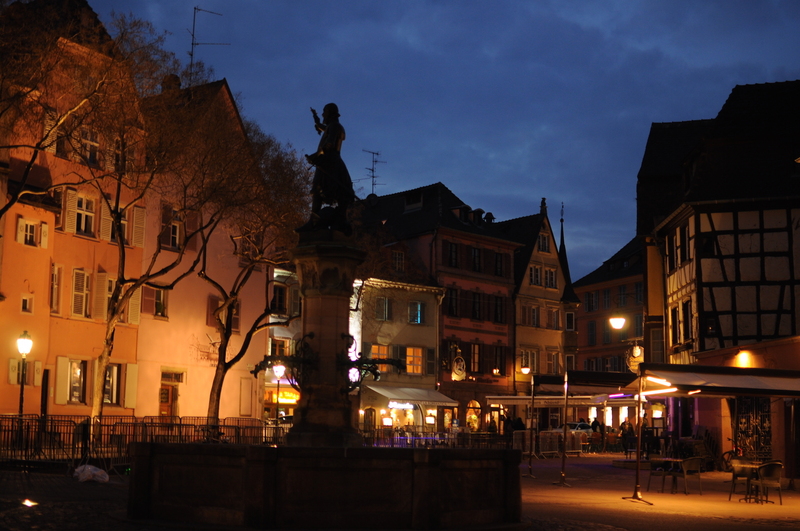 Colmar has a difficult history of a territory that is locked between the countries. 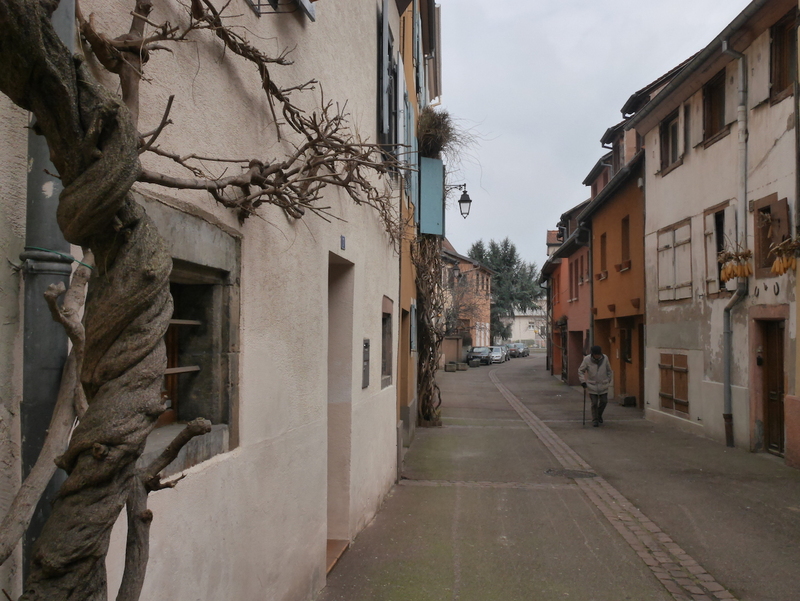 Despite the obvious crossing of cultures the bursting colours of houses, tiny patisseries on every corner and stylish small dogs with fancy hair styles will make you forget that at some point this place didn’t belong to France. 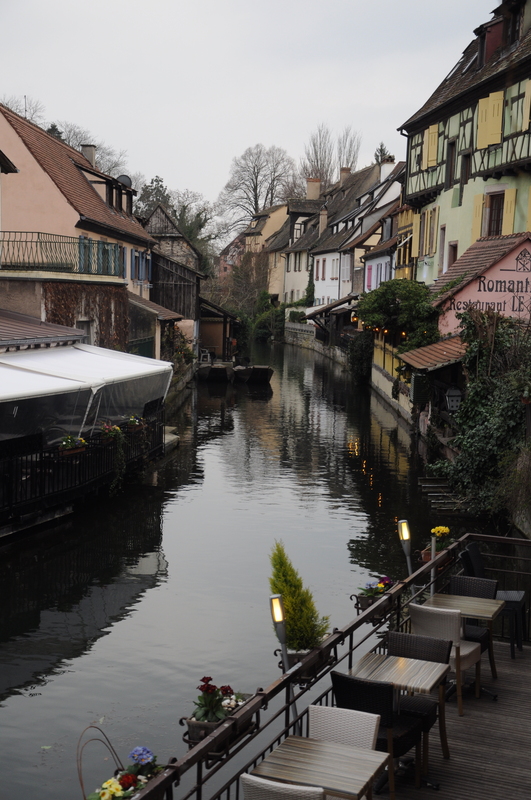 Colmar has its own “Little Venice”, a series of connected canals, where you can take a boat ride and admire colorful houses and blooming flowers. One day may seem enough for this charming but small town, but if you stay after dark, you will see a completely different picture. Tourists will disappear, buildings shapes will become soft in the medieval light and you will feel as if you’ve just got a ride in a time machine.